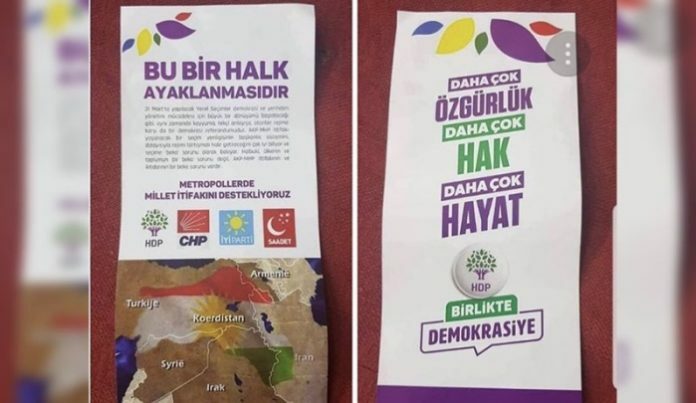 As Turkey enters its last week before local elections on March 31, the Peoples’ Democratic Party (HDP) has revealed that flyers containing provocative messages and made to appear to have been from the party were found in the southern province of Antalya, the Evrensel newspaper reported on Monday. The brochures, featuring a map of greater Kurdistan within the flag of the Kurdistan Regional Government of northern Iraq, stretching over a large portion of Turkey’s Southeast, were left in mailboxes and on windshields in Muratpaşa. The flyer also showed the emblem of the HDP along with those of the Republican People’s Party (CHP), the İYİ (Good) Party and the Felicity Party (SP), opposition parties that had formed an election alliance against the ruling Justice and Development Party (AKP). 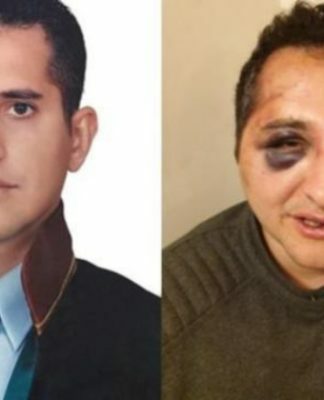 The “Nation Alliance” was repeatedly accused by President Recep Tayyip Erdoğan and prominent AKP government figures of implicitly cooperating with the HDP, which was never officially part of it. Erdoğan and his government have also constantly referred to the local elections as a matter of survival for the country and portrayed the Nation Alliance as being aligned with terrorist groups, based on the HDP’s alleged links to the outlawed Kurdistan Workers’ Party (PKK). This is not the first time such flyers have been handed out prior to an election in Turkey. 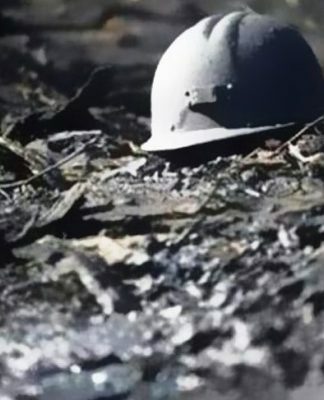 Last year flyers that read “Why shouldn’t there be a Kurdish state in our south,” “Headscarves will be out once we come” and “We’ll demolish the new İstanbul airport WELL (İYİ)” were found before the general election of June 24. 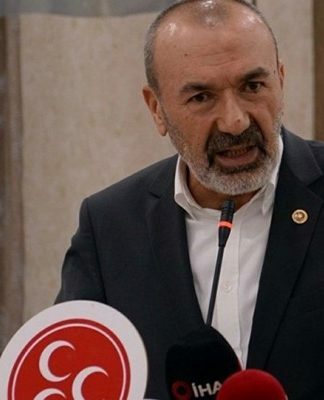 Speaking to Evrensel, HDP member Nihat Akkaya said the flyers had nothing to do with their party and that they would file a complaint about them.